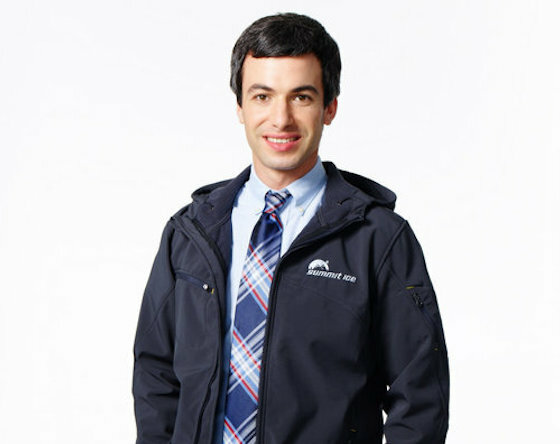 From "Dumb Starbucks" to The Hunk, Nathan Fielder has used his Nathan for You show to launch a number of fascinating ideas. Still, none have had as much of a real-life impact as his Summit Ice clothing line. This weekend, Fielder will launch a Summit Ice pop-up shop in Vancouver. The normcore outerwear line was launched in Season 3 of the show as a response to controversy surrounding the Taiga clothing brand. Taiga inexplicably featured an anti-Semitic Holocaust denier in their company-wide newsletter. In response, Fielder opted to create a brand that showcased the atrocities of the Holocaust. It was a tongue-in-cheek response to the Taiga PR flub, but it's since taken on major real-life consequences. Summit Ice has sold thousands of jackets and other clothing items around the world, with all profits donated to the Vancouver Holocaust Education Centre. This weekend, Fielder will return to Vancouver in order to deliver a cheque for $150,000 USD to the VEHC. While he's in town, he's also launching a pop-up shop for Summit Ice. Located at 138 East Broadway, the shop will sell limited Summit Ice apparel. Further, if you bring down a Taiga jacket, you will be able to trade it in for a Summit Ice jacket free of charge. The Summit Ice pop-up shop will be open from 11 a.m. to 5 p.m. on Sunday, March 26. For more information, go here.